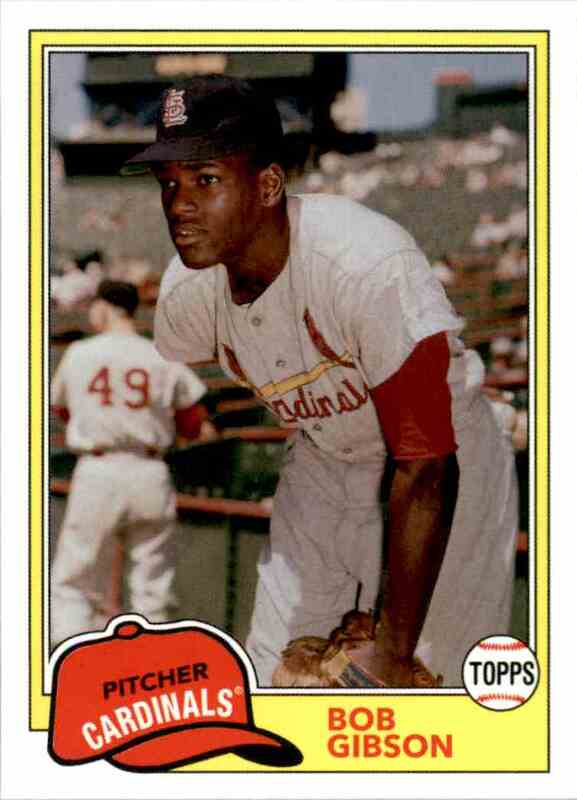 This is a Baseball trading card of Bob Gibson, St. Louis Cardinals. It comes from the 2018 Topps Archives set, card number 204. It is for sale at a price of $ .10. Cards will be SECURELY mailed in a Plain White Envelope with non-machineable postage applied. If you order multiple cards I may send in multiple envelopes depending on card thickness, weight, etc. I'm a collector, I like my cards to be in mint condition and I know you do too. I will put forth the utmost care and effort into insuring these cards reach your door in perfect condition.